Hello SWAT families! We are off to a great start with our SAA team but we have farther to go! We have lots of upcoming events for our SWAT SAA team and you can read all the details in our SWAT SAA newsletter. Don’t forget to register for the Olympian Stroke Clinic, this is a great way to give your swimmers a refresher before summer league and long course start. There are 2 options this year, May 4th and May 5th, click on the link below to register. https://www.eventbrite.com/e/2019-swim-atlanta-saa-stroke-clinic-tickets-59243540023 If you are interested in volunteering at the Olympian Stroke Clinic and earning credit towards your personal SAA goal please contact Kimberly Thompson ([email protected]). Want a fun flexible job schedule with competitive pay and room for growth! Must have competitive swimming, lifeguard or teaching experience. SwimAtlanta Families! Swim Across America Atlanta has opened registration and the early bird discount ends next Friday, March 1st ! This is a huge event for our team that raises money for pediatric cancer research at Children's Healthcare of Atlanta and we would love to see all of you register! 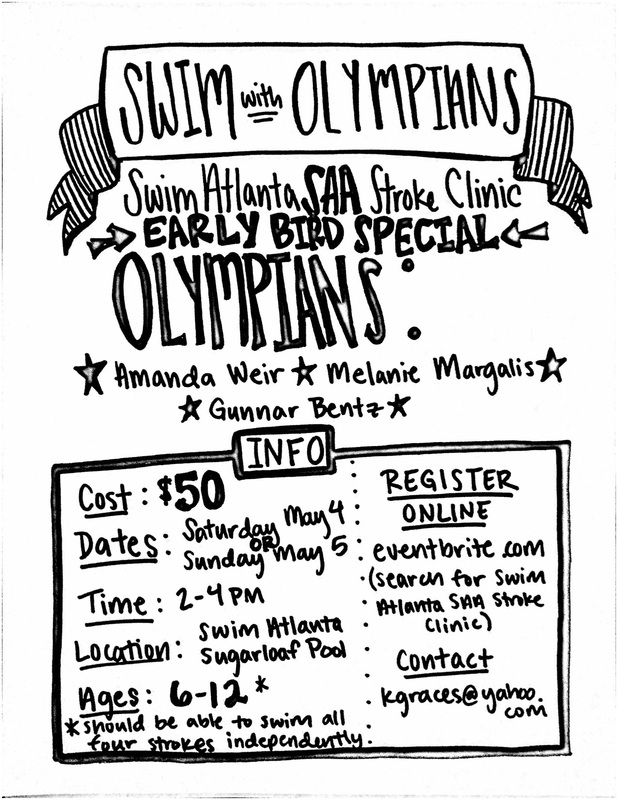 This event sells out every year so make sure and register NOW while you can take advantage of the early bird discount (click on Join Team on the Swim Atlanta SAA page)! Last year Swim Atlanta raised over $87,000 the most of any other club team and one of the top 10 SAA teams nationally. This year we hope to raise $100,000! Check out the team newsletter to get all the details on what SAA is, how to register and upcoming events we have planned! West Gwinnett Aquatic Center has a very strict no food on the pool deck rule. 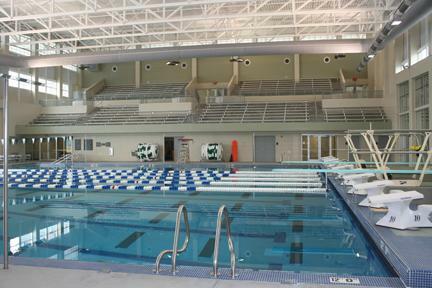 Swimmers are asked to eat upstairs in the balcony/spectator area or in the lobby. Parents are not allowed on the pool deck. Stadium seats are encouraged in the 750-seat balcony / spectator area. Swimmers are welcome to warm up and warm down in the leisure/lesson pool. Please remind your swimmers this is not a play area. Registration deadline for new Age Group State swimmers and events is Sunday 2/10 at 11:59pm. Please click this link to register: https://www.teamunify.com/EvSignup.jsp?team=gssa&event_id=1000282 . If swimmers would like to change events please email [email protected] before 11:59pm Sunday 2/10.